The Town of Orleans is comprised of three villages: Orleans, East Orleans, and South Orleans, with a year round population of nearly 7,000 residents. 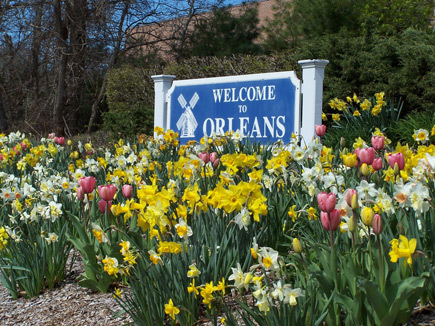 Some highlights of Orleans include white sand beaches, summer evening concerts at the bandstand, freshwater lakes, all kinds of shopping, restaurants, and pubs, live theatre, a Cape League baseball team, and more. Rock Harbor has one of the largest sport-fishing charter fleets on Cape Cod, and it's proximity to Pleasant Bay make Orleans ideal for boaters. Additionally, Orleans homeowners enjoy a fairly low property tax rate of $7.40 per $1,000 assessed value for 2019. If you're looking for Orleans real estate, start your home search here! Kinlin Grover sales as a company topped $1 billion dollars for the first time ever, a 22 percent increase over 2017. Across the Cape the number of sales was down 3.6 percent, probably due to lack of inventory. However, the median sale price was up 6.2 percent. Days on market was down in every category; from single family homes, condos, and land. My personal sales volume totalled over $25 million dollars in 2018. It was an extrememly busy year for me, with sales from January through the end of December. 2019 has kicked off with a bang and we are now into the busy Spring market. With 4 homes under agreement in the first 6 weeks of the year, I think it's going to be a repeat of 2018! If you have any questions about real estate in Chatham or the Lower Cape, let me know. Meanwhile, have a great year and hope to see you on Cape Cod! If you would like more information on Orleans, please check out "Orleans Helpful Links" at left. Start your Orleans home search on Cape Cod by clicking on one of the "Orleans Property Finder" options at right. If I can be of assistance in any way, please don't hesitate to contact me. © 2008-2019 Bridge to the Cape. All Rights Reserved.